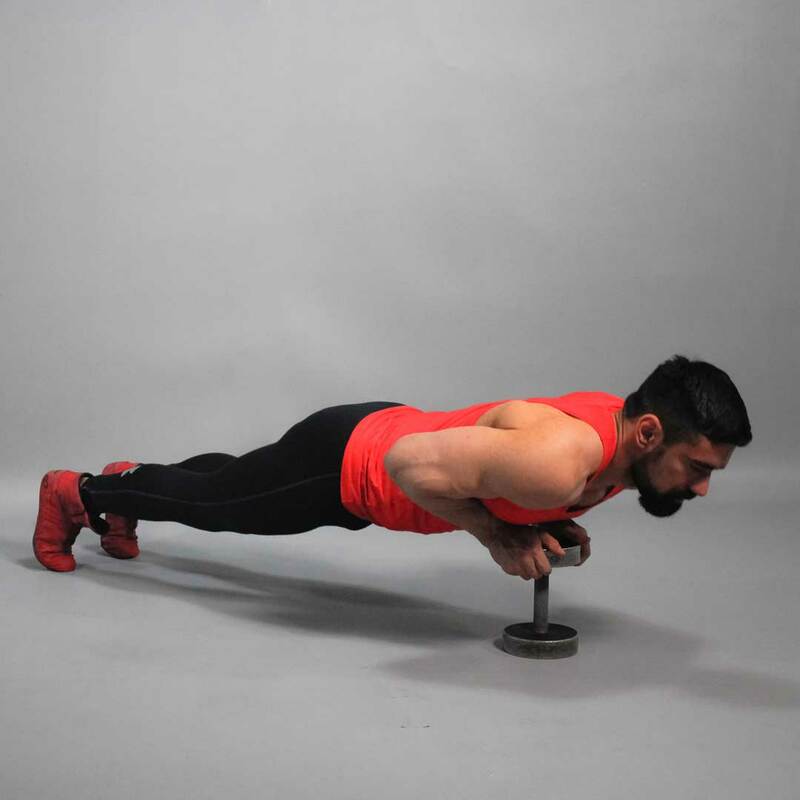 You need a dumbbell with wide yet flat plates. 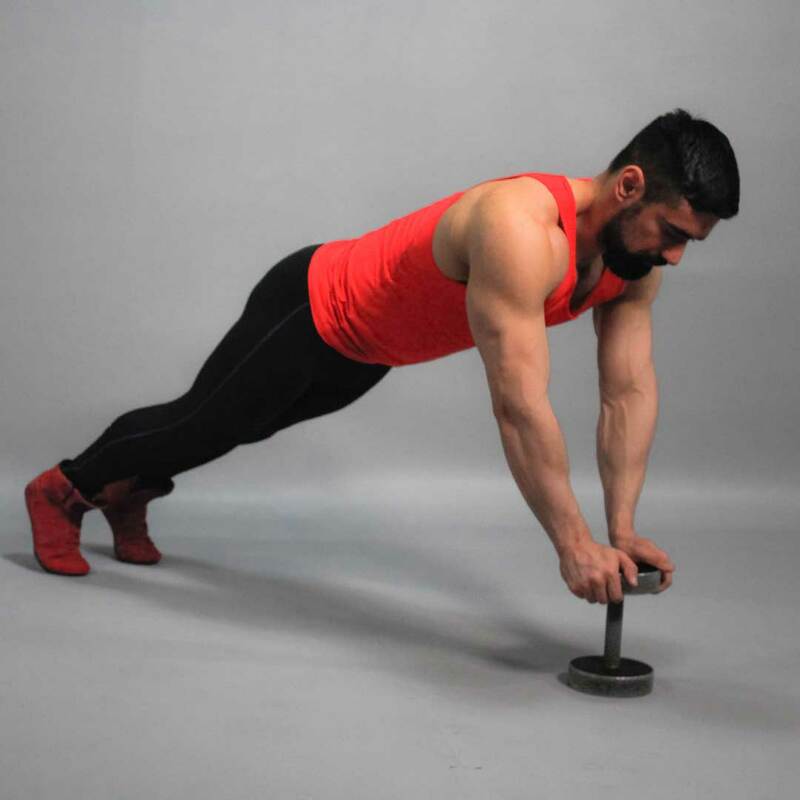 Place the dumbbell upright on the floor and press yourself against plates sides. Your core in extended hands position should be at 45 degrees angle. Feet are shoulder-width apart, back is straight, and abs is tightened. This is your starting position. Bend your elbows, touching the fingers with your chest. Exhaling, press yourself back off the dumbbell. In low point, your arms should be alongside with your body. Straighten your arms completely, straining your triceps. For people with pain in elbows, it is better not to perform this exercise.